Having tied Jack Grealish down to a new four-year deal, Aston Villa are now turning their attention to his team mate, James Chester. The 29-year old Welsh international is under contract until 2020, but Villa are keen to secure his long-term future at the club and, according to The Daily Telegraph, have opened talks with the player’s representatives about a new 5-year deal. A former Manchester United academy graduate, Chester really made his name at Hull City, where he played under his current manager Steve Bruce, famously scoring the opening goal in his side’s FA Cup Final defeat to Arsenal. 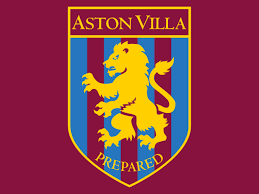 A brief spell at West Brom followed, before he was united once again with Bruce at Villa Park, who regards him as one of his trusted lieutenants as he tries to mount another campaign to win promotion back to the Premier League. Chester was born in Warrington, but is able to play for Wales because his mother was born in Rhyll.